Early humans may have learned to speak far earlier than previously thought. Far from being “stupid ape-like creatures”, a language expert has claimed the ability of Homo erectus to cross bodies of water indicates members of this species were able to talk to one another. Professor Daniel Everett announced his controversial idea at the annual meeting of the American Association for the Advancement of Science. The origin of language is shrouded in mystery, with many experts arguing it is a unique characteristic of our species – Homo sapiens. This would mean language dates back no further than our own origins around 200,000 years ago. The earliest evidence of Homo erectus, on the other hand, dates to around 1.9 million years ago, meaning the timing of the first language could be pushed back considerably. Professor Everett argued a primitive form of conversation would have been necessary for Homo erectus to achieve what they did. His hypothesis hinges on the species’ apparent ability to sail across bodies of water. “Oceans were never a barrier to the travels of Erectus,” Professor Everett, a linguist at Bentley University, told the science conference in Austin, Texas. After originating in east Africa, Homo erectus spread across the world. Their remains have been found throughout Europe and Asia. Some experts have argued a mysterious species likened to “hobbits”, Homo floresiensis, which was discovered on the island of Flores in Indonesia, was descended from Homo erectus. “Erectus needed language when they were sailing to the island of Flores. They couldn’t have simply caught a ride on a floating log because then they would have been washed out to sea when they hit the current,” Professor Everett told the audience. While the idea was welcomed by some, Professor Everett also met criticism from experts in human origins. “I don’t accept that, for example, Erectus must have had boats to get to Flores,” said Professor Chris Stringer of the Natural History Museum, arguing that tsunamis could have transported these early humans between islands on rafts of vegetation. 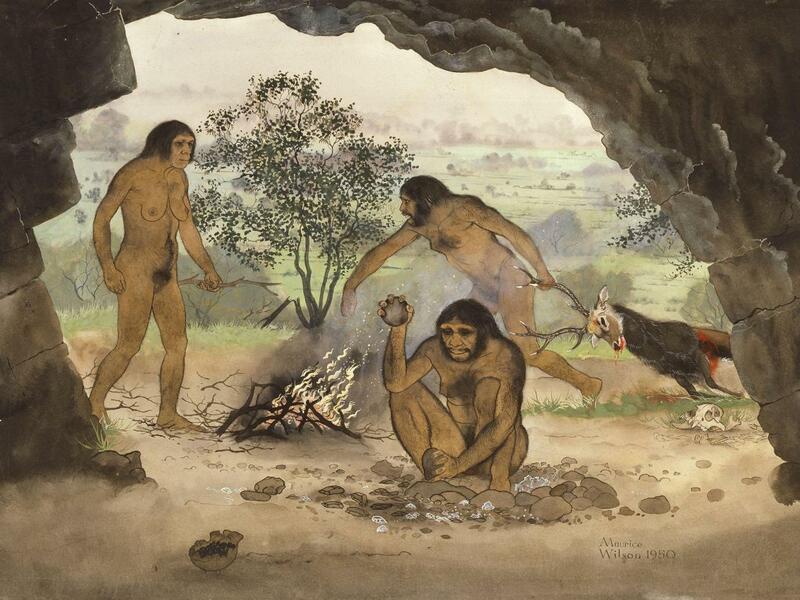 Professor Everett did note that while these early humans could have developed language, it would not have been sophisticated as that used by modern humans. This entry was posted on Thursday, March 29th, 2018 at 00:01	and is filed under Uncategorized. You can follow any responses to this entry through the RSS 2.0 feed. Both comments and pings are currently closed.